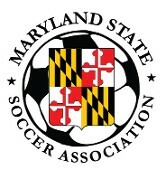 The WPL FALL 2013 Season will kickoff its opening weekend on SATURDAY SEPTEMBER 21st (Saturday Division - games during the day in venues in DC) and SUNDAY 22nd (Sunday Division - games in the late-PM). The Fall Season will run straight through on consecutive weekends until late November. Arguably the most competitive Men’s league in the Washington DC area, the WPL offers premium quality fields and top officials for experienced Adult soccer players to exhibit their skill and fitness, talent and athleticism. If you want this... come check out the WPL!